The "Coming Soon Products" - Magento-2 extension allows your current visitors to see new products in line that you’ll be launching soon. You can even mention the date of the launch. The attractive countdown timer adds the element of curiosity for the visitor, prompting him to look for product launch subscription interface. If interested, the visitor can subscribe to the email notification to receive instant notification once the product is live. A welcoming email with the “product link” will be sent to each visitor, giving you an opportunity to build a customer base even before the product is launched – a win win situation for you and your client! Example: Let us consider that iPhone 8 is going to be launched and Amazon puts a product page on its site about its launch. The page also shows a countdown timer that shows the clock ticking, and prompts the eager visitor to subscribe the email notification. Once the product is live, each one of the visitor will receive an email with the product link, encouraging them to take an instant opportunity to purchase the much awaited iPhone 8 - a story you want to see for your new product! 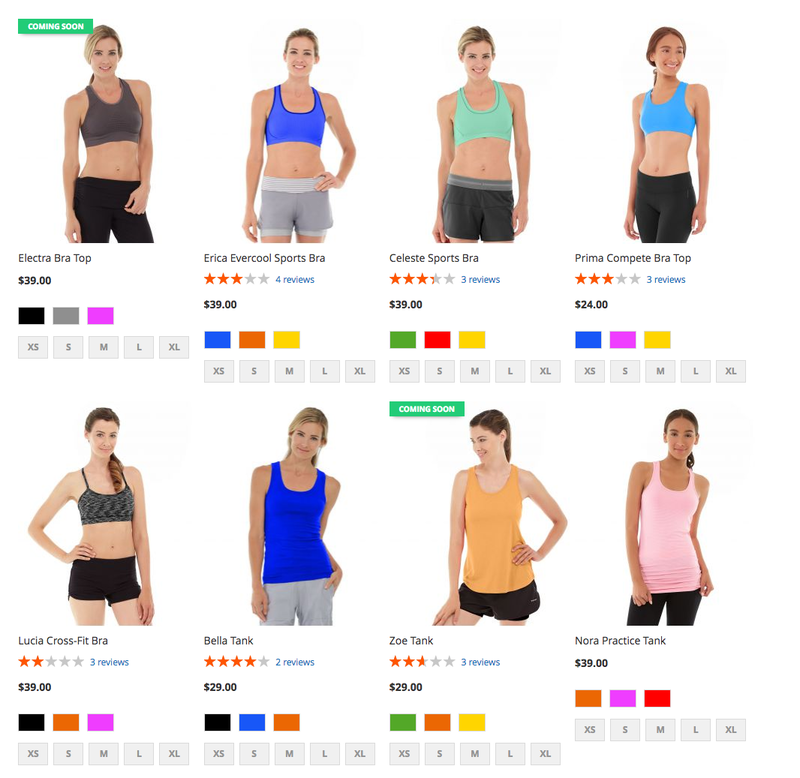 So, what happens to the product list page of the website? Once you install the “Coming Soon Products” Magento-2 extension, the “coming soon” products will not show ‘add to cart option’ and ‘stock status’. Instead, such products will be categorized by a ‘coming soon’ badge, making it clear to the visitor that the product can’t be purchased yet. What about the changes on the product page? When you install the extension, the 'stock status’, and 'add to cart’ button option gets removed automatically. To attract interested visitors, a countdown timer appears along with information on the date of launch. For an interested customer, a subscription form is available. The subscribed customers will get an email of the product link once the product goes live, giving you a user base even before you launch the new product. How this extension can be beneficial to a store? An advanced list of subscribers gives you an idea on the number of customers who are interested to avail the product when it is live. This gives you a deadline and an approximate sales number to reach for the specific product. Creation of product page in advance gives your product a boost in search engine results. Quick sales as the interested audiences will be in line to purchase the product. Launch Date attribute: Once you set the ‘launch date’, the product is automatically launched on the set date. Both automatic and manual control on product’s launch: You can either launch the product automatically by setting the date in admin. Or you can manually edit the product and make it live instantly. Intelligent extension code in case of failure to launch: If by any chance, you’re unable to launch the product on the set date, the countdown timer will be replaced with a text message configured in the admin’s configuration. - [New] Added title to subscription form, which can be controlled from new admin setting "RedChamps > Coming Soon > Settings > Frontend Options > Product Page Subscription Form Section Title"
- Moved Coming Soon Navigation from "RedChamps" menu item to "Catalog"
- Subscriptions emails now will be processed if you change coming soon product's "Availability Status" to "Live" using product import. - Added new menu item in admin "RedChamps > Coming Soon > Products". This will list all 'Coming Soon Products' at one place. 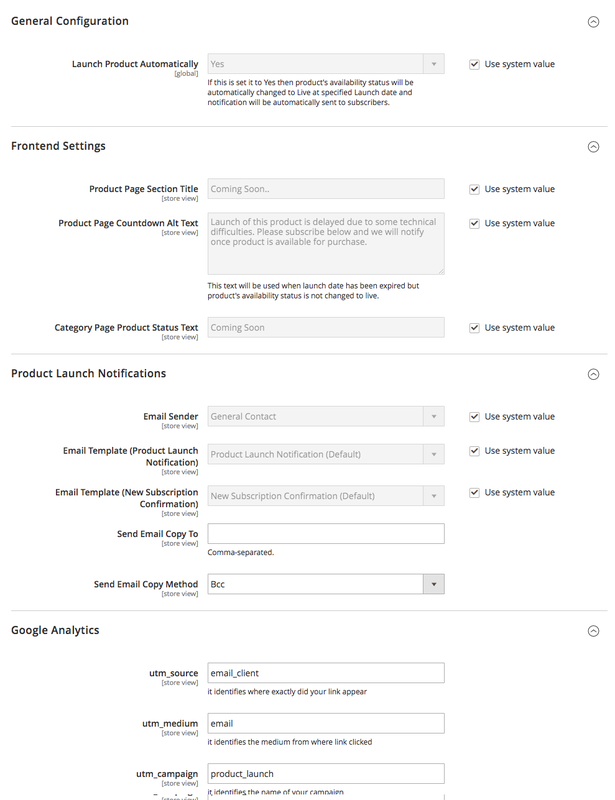 - Added admin configuration for Google Analytics UTM parameters so that traffic from product launch notification email can be tracked. Insider Sportshop is located in Tux Vorderlanersbach directly at the base station of the Rastkogel lifts. We offer trendy outfits and right sports equipment for all year round. MYGSM.ME is owned by Telewood LLC, registered under Dubai Economic Department and Dubai Chamber of Commerce. Telewood has years of experience in the wholesale distribution of communication products including Smart phones and Tablet Computers. Stealbruch Store have been living their own personal dream since January 2009 and are following their passion for fashion and sneaker. The idea of ​​Shivadiva was born in 2002 on the beach of Phuket in Thailand, inspired by a vintage sari exhibited in the beach bar. For the first time, Ulla Hofmann came up with the idea of ​​using Shivadiva to create tunics from classical sari materials. PlatteTVDiscounter has a huge range and has been providing the best TV channels for years . Not only are their products always priced sharply, they also have an eye for quality. Smart Talk began in 2011 at Braga Parque Shopping Center and currently has 20 locations throughout the country, being the market leader in the sale of mobile phone covers and accessories. TVQ is the webshop for high-end televisions, related accessories and audio. With their vast knowledge of the specifications, features, uses and capabilities of the high end television market. Shop LANG 2018 Calendars that feature inspiring delightful artwork on each & every page. Or Shop our coffee mugs, cards & stationery, home & outdoor decor to find that unique gift idea!